Mandarin Airlines is a Taiwanese regional airline based in Taipei, Taiwan, whose parent company is China Airlines. The airline operates domestic and regional international flights, while its parent company focuses on international operations. Some charter services are also operated by the company. 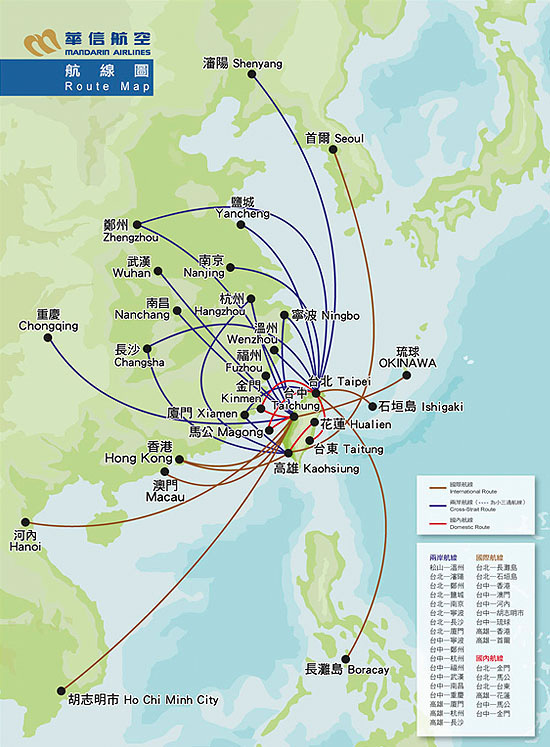 Its main hub is Taipei Songshan Airport with others at Taichung International Airport and Kaohsiung International Airport.